This is an ideal tool for general cutting, chipping, and scraping. Our tool is made for the professional and is created using a hardened steel barrel and piston that is designed for less wear and longer life. The pistol grip is made of lightweight aluminum. The handle has a soft ergonomic grip for comfort and stability. Air flow goes out from the top of the tool and away from the worker. Our tool gives the user 4500 blows per minute. The impact parts are specially heat-treated using German made equipment for maximum durability. Standard with each tool is a quick-change spring for speed and ease of chisel exchange. Included with each tool are four different popular chisels. This tool is excellent for clearing welds and casting flash. 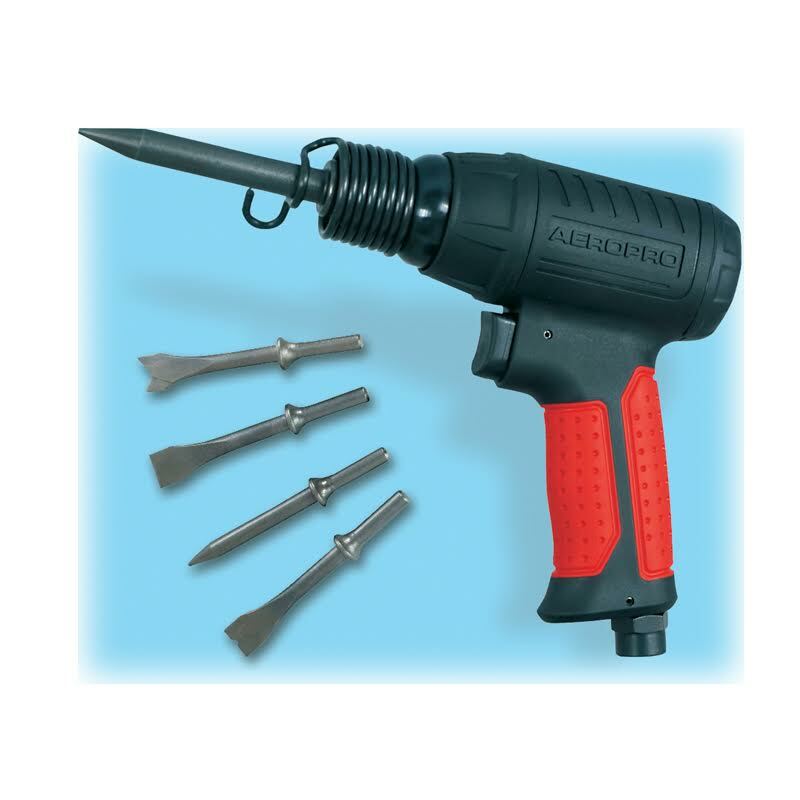 It also is great for removing mortar from bricks. Other uses include: removing tile, cutting spot welds, and freeing rusted together fasteners on equipment and automobiles. Always run the Air Chisel using 90 PSI and make sure your air is clean. This will increase the life of the tool. Proper lubrication is also important in maintaining the tool and extending its life.